Empty, dilapidated homes can attract squatters, provide an ideal setting for vermin to live and breed or can become structurally unsound if they’re not properly maintained, creating hygiene and safety issues for the surrounding communities. They can also negatively impact the property prices around them. According to the Royal Institute of Chartered Surveyors, they can reduce the value of adjoining properties by as much as 18 per cent. But there are many people that end up owning an empty home for various reasons. Mainly it’s because they are unable to renovate it to a habitable standard to sell, to live in or rent out as they don’t have the funds in which to do so. 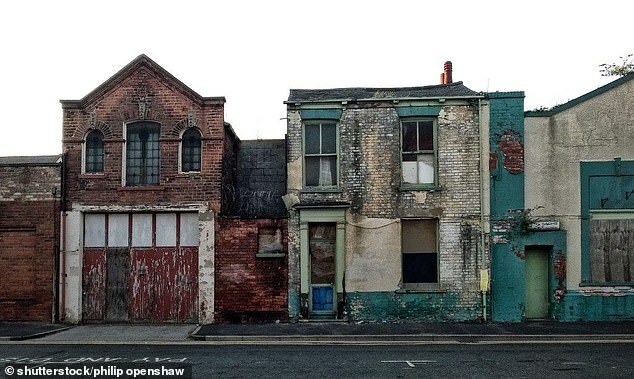 However, the good news is that there are initiatives offered by various councils that enable landlords and homeowners to apply for (and get) up to £25,000 to refurbish the empty home to then potentially rent out or sell on. Lisa Webb, housing projects co-ordinator of Sevenoaks District Council highlights how one Kent-based family couldn’t afford to refurbish the property themselves after an elderly relative was moved into care due to mental illness. Due to his condition, the relative had neglected the home (see pictures below) and hoarded items making the property uninhabitable. 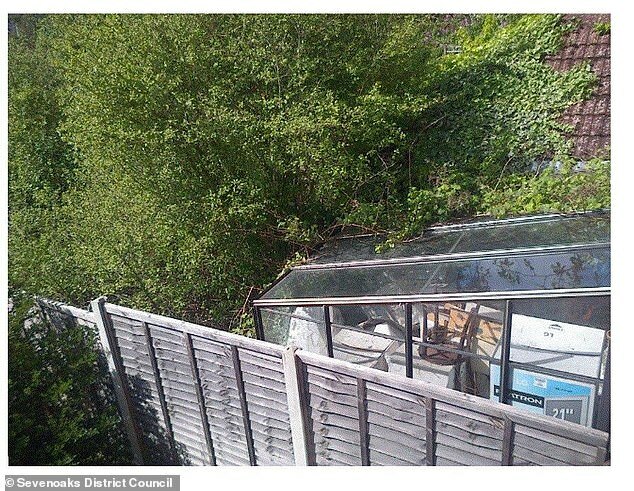 ‘It was empty because the elderly owner was rehoused into sheltered housing. 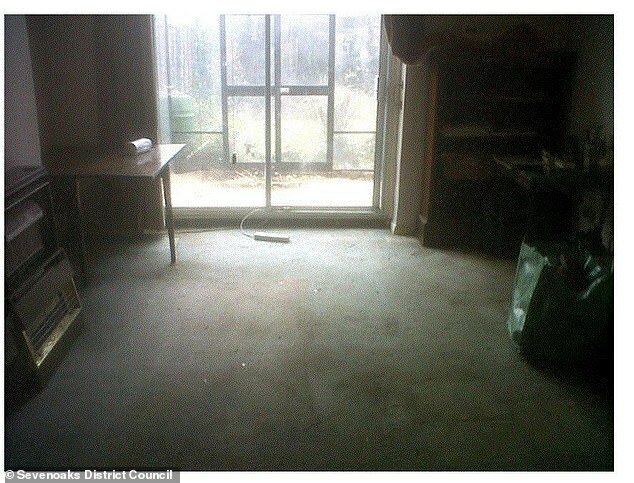 The property couldn’t be rented or sold due to its condition. What is an empty property loan? Homes are defined as ’empty’ after they have not been inhabited for six months or more. Some councils offer various schemes where money is loaned to the property owner to refurbish it so the empty home can be rented out or sold. Initiatives have been introduced in some parts of the country and some have operated for a number of years. These loans schemes offered by councils were initiated to deal with housing shortages and homes that have been unoccupied that pose a problem for communities. ‘The owner’s family, who were acting on his behalf, were provided with an interest free loan of £25,000 through the Kent County Council No Use Empty scheme. ‘The family also contributed to renovation costs on top of this. Webb added that as the council weren’t involved with the rental or the sale it couldn’t comment on how much it was rented for or how much it was subsequently sold for. However, This is Money found the sale information publically available on property website Rightmove, which showed that the property was sold for £495,000 in August this year. How soon must you repay the loan? Council loans are repayable after three years renting out the property or when the property is sold. 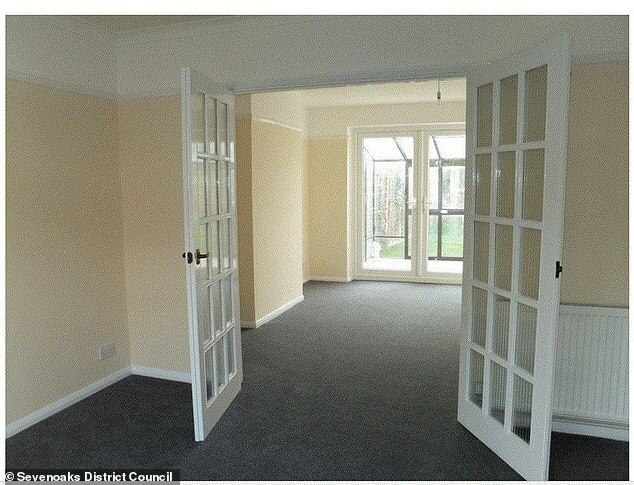 There are a lot of empty properties in Britain despite the fact that there’s a housing shortage. In 2017, more than 200,000 homes in England sat empty for more than six months, according to government figures. Unfortunately, some time has to transpire for a home to be classified as ’empty’. Councillor Michelle Lowe of Sevenoaks Council explains: ‘We define an empty home as one that is empty for six months or more. The loan, once awarded, can be used in a number of ways to upgrade properties. 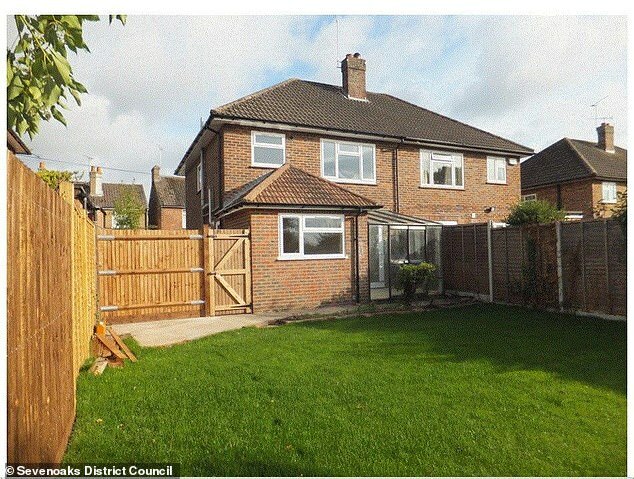 Lowe said: ‘This £25,000 loan generally covers things like electrics, plumbing, new kitchen and bathroom. Why do properties stand empty? Homes are left empty and in ruin for a number of reasons. Often it’s a case of family members inheriting a property that they don’t have the funds to refurbish in order to sell on or rent out. Alternatively, many first time buyers that can’t afford a ‘move in ready’ home, may opt for a ‘fixer upper’ believing they can manage their costs. This may sound like a good idea initially but if they over commit financially they may not be able to refurbish the property to liveable standard. Besides individuals, developers, shop owners and businesses can also benefit from small loans of £10,000 or even hundreds of thousands of pounds, depending on what their needs are to convert the home or building and what the property will be used for. For example, Dover District Council provides small grants of up to £10,000 to encourage regeneration of shop fronts in the town centre. Meanwhile, small family run business Accommodation Yes, which provides supported housing for adults with learning disabilities and complex needs, were awarded a £400,000 loan (part interest free and part interest bearing) over four years to convert an office block into self-contained apartments in Maidstone. Some councils are more successful at reducing the number of empty homes in their district than others. Latest national data on empty homes has revealed that Kent County Council’s (KCC’s) No use Empty initiative, which was launched in 2005, is the UK’s best-performing County Council returning 506 long term homes to use in 2017. In total, it has returned over 5,500 homes to use through the provision of £25million in loans. While many don’t have the funds to maintain properties or upgrade ones that have been left to ruin, it’s a huge expense to leave empty homes in the state that they are in. Lowe points out that homeowners are charged 150 per cent in council tax rates if they are empty for more than two years and there are plans to increase this to 200 per cent. But there are other costs associated with keeping an empty home too. Overall, councils are one of the few ‘lenders’ willing to step in when homes are left empty and not maintained. How do you qualify for an empty home scheme? 1. Check if your council offers such schemes firstly as not all of them do. Amounts can vary but with some councils you can apply for up to £25,000 per property unit or a total maximum of £175,000 if you are, for example, looking to convert a building. 2. To qualify for an empty property loan for renovation the properties have to be empty for at least six months. 3. Anyone who owns an empty home or is considering buying one can apply for these loans (companies or individuals). 4. After the work is completed you have to let the property out or sell it. Some, such as Thanet and Durham County Council offer owner-occupier loans. 5. Property owners must source their own professionals and quotes and repairs have to be conducted within an agreed amount of time. 6. A number of fees will pertain to your application. An administration fee will be required to process your application. The fee can vary from £400 up to £825 depending on how much you borrow. Land registry fees will also pertain. Kent County Council (KCC), for example, charges £60 per title on loans up to £100,000. There’s also the valuation fee to consider which must be undertaken by a member of the Rics, which is likely to be around £400. 7. Not all properties will qualify for such loans. Homes that are not of a permanent nature, such as houseboats or caravans for instance, don’t qualify. 8. Councils will have the right to undertake a credit check on any person or company applying for the loan. 9. If you are rejected you can appeal the decision. 10. You can apply for a second or subsequent loans from the council if you have already received a loan. With KCC’s initiative this may not amount to more than £175,000, unless the council agrees to offer more.